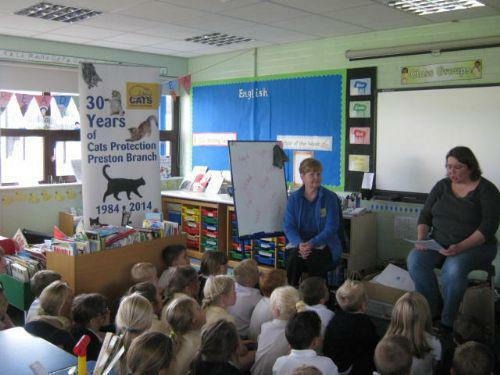 We were visited from Cat's Protection League who taught us all about how to care for cats. We were also visited by Alan who has a guide dog. He told us all about the jobs his guide dog Kim helps him with. Ask your child to see if they can remember what jobs Kim can do? We were visited by Mrs Ruler's pet budgie Sidney, he spent the afternoon in our classroom and we created some artwork of him. When we were really quiet he liked to make noises and he can even say What you doing?